Alternative healers who've been in classes of mine of late have heard me speak of lighthouses. You might scratch your head and wonder why a CE provider and alternative healer coach, such as myself, is talking to healers about buildings that stay lit all night long for ships in the dark. It's because one important ingredient for therapists to succeed in this economy is to stay lit for all those ships--read, human beings--who are sailing--or more precisely, flailing--around in the dark. There are people running around in circles, running on treadmills like lab rats, and getting mighty tired, stressed, and scared in the process. All that fatigue, tension, and fear gets stored in the muscles of their ravaged bodies. They need to find a steady light to help them through this dark time. You can be that light for them--and if you do, you can thrive even during this difficult economy. A marketing coach for alternative therapists, my work is a lot like these healers who I work with in that we both relieve headaches, stress, and strain. Perhaps because my name is Bayer--the name of a pain reliever that works wonders--some coaching clients sometimes wish that my coaching would solve all their business problems. Coaching plus a therapist's efforts, can. But coaching alone isn't a wonder drug that you pop into your mouth and you suddenly have more clients than you can handle. Don't get me wrong...usually, when a healer makes attitudinal shifts that coaching brings about, business suddenly picks up. But ongoing success usually requires combining attitudinal shifts with marketing changes. As the saying goes, "Only a new seed yields a new crop." Ever Heard of Rambling Daisies? Although it's not the usual sort of thing you would pick up from a gardening book, this is what I have discovered. Daisies have been sorely under-rated and misunderstood for a great number of years. There are songs about roses, many songs about roses, but not nearly so many songs about daisies. One very popular song comes to mind, however. Still somewhat popular today, it has stood the test of time. That's the song that goes like this: " Daisy, Daisy, give me your answer true, I'm half crazy over the likes of you. It won't be a stylish marriage, I can't afford a carriage..." In this case, Daisy is the name of a girl, and the song is about a marriage proposal. Daisy, interestingly enough, is also the name of the girl in the book, The Great Gatsby. The Daisy, this time, is characterized as being somewhat frivolous and irresponsible. She looks sweet enough in the beginning, but then she shrugs off all of her true nature by the end of the story and simply walks away. See what I mean. Even girls by the name of Daisy seem to be given the role of portraying a weak or unsustaining nature. The extraordinary amount of time that you spent studying your healing art--probably somewhere in the range of about 500 to 750 hours if you studied massage, years if you're a counselor--prepared you expertly in the art of giving another person a professional session. I refer to this part of your knowledge as your healing arts practice. I use the word practice because you literally practiced it many times before you mastered it. When you were a small boy or girl, in elementary school, you practiced the multiplication table and, in time, you mastered it. Years later, as a teenager, you practiced the conjugation of verbs in Spanish or French and, in time, you mastered that, too. Still, years later, as an adult in your professional training, you practiced your modality and, in time, mastered that, as well. In fact, one of your assignments as your education unfolded was to practice on real human bodies and minds the techniques that you were taught in textbooks and in the classroom. And some lucky guinea pigs were glad that you did. When I was growing up, I often heard an expression from my family that goes: "Don't look a gift horse in the mouth." Today, I'm going to look a gift certificate in the mouth. The reason is that, contrary to the belief of most of the 300-plus alternative healers whom I've coached, I'm not a big fan of gift certificates. I know this is a controversial topic, because when I'm asked about them at my CE seminars at state conferences, my answer often ruffles so many feathers and rattles so many cages that one might conclude that healer is a bird. "Once a month is usually a good frequency." Let the Moment Color the Way! This is the time of your life whether or not you find ways to enjoy each minute of the day or take the time to express the direction of your dearest dreams. Today is the day you begin again to solve whatever problems are holding you back from doing the things you were meant to do. Plan your life in a way that expects you to succeed. Things happen to work out for the better when you focus on goals that encourage progress by offering you rewards at the end. When you keep your mind set to the intention of achieving your goal, you will find it much easier to enjoy the moment. Do the Healing Work You Love & the Money will Follow...But When? About a year ago, a friend of mine, who's a hypnotherapist who never tried to build a business after receiving her training and license to practice, was fed up with the job she was doing to pick up a paycheck. About half a year earlier, she had read the book, Do What You Love, the Money will Follow, by Marsha Sinetar, and decided it was high time she finally quit and pursue her passion--to build a healing business once and for all. But after six months of not getting enough clients to get her practice off the ground, the money wasn't following. She did a lot of waiting and complaining, but little else. She did little to proactively make the money follow, something I've observed often in many of the three hundred-plus alternative healer clients I've coached the past 10 years. She was living off her savings, which were running low. Panicked, she asked me what to do. In this column you will learn quite a bit about innovators who brought something new to their world. Bear with the examples because there is a great marketing lesson in store for you if you do. If you had to name the most valuable thing in your life at this moment, you may come up with all sorts of different answers. If you had to name the most valuable thing in your life at this moment, what would it be? You may come up with all sorts of different answers. You may name loved ones, friendships or material things such as cars, houses or bank accounts. Perhaps you might think of objects of art, private yachts or glitzy getaways. Some may name pets, pianos or possessions. The truth is, our most valuable possession is our next breath, because without it, nothing else would matter to us at all. There is great power in the momentum of one breath. You can use a breath to begin to fill a balloon, begin to tell a story, or actually, to begin anything at all. It all depends on how you put it to use. The use of your own breath can also hold fantastic healing powers and can be used to eliminate pain in your own body. By focusing on your breathing you can get yourself into a state of calm. Then by concentrating on aiming the breath into the centre of any pain, you may be experiencing in your body, or your life in general, you can begin to fill the pain pocket with the light of your own breath and, in so doing, push the pain outside of your personal space, thereby eliminating it from the inside out. Breathing can be used to lower blood pressure, create calm, eliminate headaches, remove stress and heal the body. Simply by focusing on your own breathing you can create new things in your own life. Just think: we are nothing without our next breath and we can begin to change anything about our situation with the power of our next breath. Breathing is the most important potential in our lives. 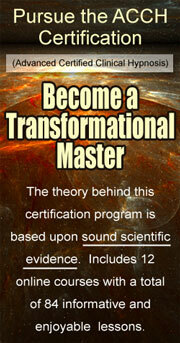 Learn to use your inbred, natural power to become the person you were created to be. Then you will possess the greatest wealth available to mankind. To get in tune with your personal potential, begin a daily walking routine wherever you live, work, or spend time regularly. Start with short walks and focus on breathing as you walk. Notice how you regulate your breath by the pace of your step. Get out walking in your natural environment to get in touch with how you feel and what you need to change in your daily routine. Nature will automatically reply to your request by refreshing your mood and replacing any negativity with a generous helping of recreating power. Gradually lengthen walking time to reach deeper personal fulfillment. A couple of years ago, my wife and I flew from Ft. Lauderdale to Los Angeles, then to Melbourne, Australia, and after that to Singapore. On the way back, we headed from Bangkok to Melbourne, then back to L.A, and from southern California to southern Florida. All these flights were either first class or business class. The remarkable thing about this exotic and long-distance itinerary is that these journeys didn't cost me a penny; they were all "paid" for by American Airlines, or by one of their partner airlines around the world as part of American's frequent flyer program. The one area in which most people consistently fail involves setting and achieving goals. Whether this involves projects around the house, education, or changing bad habits, en vogue methods of goal setting and achievement rarely help us achieve the intended results. Even though I agree that it is essential to consciously select, write down, and proclaim objectives to others, from that point forward many find insurmountable difficulties causing delays or total abandonment of their dreams. If your bodywork client has suffered an injury--to her back in a car crash, for example--you probably have no problem recommending to her that she come back to see you in two days after the massage that you just gave her. If you do psychological counseling you wouldn't think twice about recommending to your client in a marital crisis to see you more than once a week until the crisis is settled. This is despite the fact that she might not have insurance to cover the cost of your treatment. You also don't think twice about how she might arrange her appointments to see you within 48 hours of stepping off your table--gingerly, of course, if her back is bad--or soberly if she's depressed. This is the time of year to consider all the blessings and gifts we have. Blessings, also know as spiritual gifts, are like flowers. They need to be picked up, and placed on an open space to be admired and enjoyed. As they are, seeds are planted and more production takes place. If gifts such as these are left unused, we soon stop practising them and lose our ability to keep them in shape. Spiritual gifts, like blessings, need to be maintained daily. To do this, we must learn to hear our own creative voice. Listen to what your heart is telling you. What are the things you like most and enjoy spending time on. A day barely goes by that I don't receive an invitation, often by one massage therapist or alternative healer or another from Maine to California, to become a fan of this professional group or that. To which I say to these healers: I'm glad that you're a fan of John Doe or the XYZ Healing Business. Now let me ask you a question: Are you also a fan of your healing arts business? If not, I suggest that you first become a fan of your business before giving up your time to follow the pursuits of Mr. Doe. You'd be far better off using that time to market and network your own business. It's far more profitable for you to take some time to empower yourself and your business than to give over your power to someone else. Many giants of the 20th Century have had more adventures with the mirror than Lewis Carroll's Alice. Foster Hibbard, an inspired teacher I've worked with, said that Napoleon Hill, his teacher of 13 years, claimed many of the great inventors, business magnates, and political leaders whom he met through his 20-year mentor relationship with billionaire Andrew Carnegie, derived great results in front of the glass. Hill studied with Henry Ford, Thomas Edison, Harvey Firestone, Winston Churchill, Teddy Roosevelt and Woodrow Wilson, among others. A dog is a man's best friend, and may be a healer's best teacher. A dog embodies so many qualities of the Enlightenment described by the world's spiritual teachers that it's hardly coincidental that dog is god spelled backwards. Speaking colloquially...doggonit--a canine can help inspire business growth. At the end of the 1980's, futurist John Naisbitt wrote a book that envisioned, among other things, a more sensitive world emerging as a response to the high tech revolution. His Megatrends camped out at the top of the New York Times best-seller list for nearly two years, selling eight million copies in 57 countries. Naisbitt's polished crystal ball saw the forthcoming trend, "High Tech/High Touch" that has much to teach healers, whether they work in traditional modalities or their more alternative counterparts. Unless you are one of very few lucky people, most likely the only way that you will ever be successful is to commit to taking the massive action required to achieve a goal. Star athletes, successful business people, and even those who have found the love of their lives realize that without commitment, nothing will ever be achieved. So, if this is such as well-established fact, why isn't everyone a total success. A couple of years ago, I was in New York City and happened to catch the opening night of previews on Broadway of the revival of my favorite play, Cyrano de Bergerac, written by Edmond Rostand, in 1897. For those of you unfamiliar with this tragic story, it's set in Paris in 1640, and centers around the eponymous Cyrano, who's as much of a hero with the sword as he is a coward with expressing his love. He's great at swordplay and wordplay, but tragically pathetic at romance. That's because he has a grotesque nose, virtually the size of a cuckoo clock. Think highly of yourself and others will be attracted to you. Let others touch you. Cuddling against them isn't bad either. Exercise keeps you young in body and heart. Nap when you feel like it; it's good for your soul and your body. It's innocent to be the center of attention. The more playful you are, the more you're loved and prospered. If you're happy and you know it, purr away--you'll be feline groovy. Sing a Happy Song Everyday! What greater pleasure can be experienced than to feel the warmth of the sun in winter or the cool refreshing breeze of summer? The beauty of a bush or a flower can only be reproduced as an imitation. The original nature of the fresh flower is available to us for such a short time. Life is full of so many stimulating colours and sights. We want to see the beauty around us and absorb its lasting benefits. I've met countless alternative healers whose office files belong more in the 20th century than in the 21st. I'm not suggesting that therapists should have paperless offices. I am suggesting, however, that electronic data be incorporated, as well. When a person or organization becomes dissatisfied with the current condition of their heath, happiness, or detect that they are not reaching their potential – provided that there is sufficient motivation – then transformation is pursued. However, the probability of achieving rapid, substantial, and lasting change is not always assured. The lure of returning to the old status quo is often too great – despite the often extremely negative consequences. However, both throughout history and in contemporary times there have been and are countless examples of those who have mastered the art of change. Over the past 30 years I have been a student of this topic. As a result I have concluded that those who achieve change to the point of realizing mastery have three requirements in common. These involve effective modeling, following efficient methods, and pursuing change with a sense of purpose. Some business development experts encourage you to create an elevator speech of 30 to 60 seconds so that you can tell anyone in a short descent or ascent what you do, so that you can elevate your business by adding your fellow passenger to your client roster. Such advice is wise indeed. One of the first things that a journalist writing for a newspaper learns is to ask and get answers for the five key questions. These are who, what, when, where, and how. In a previous column, you learned what to say in an ad; in another one, you learned how to say what you want to say in an ad; and in this one, you'll learn where to say what you want to say in an ad. The ad that I'm referring to is one of two types: either the retail-oriented ad (the half-price special for new clients, or its buy one, get one free cousin), or the image ad that positioned you uniquely in the marketplace. While there's an art to how to communicate in an ad, there's not a precise science to where to communicate--even though media specialists in advertising agencies ply their sophisticated computers and demographic and psychographic analyses trying to make it as scientific as possible. For an alternative healer promoting a discount-pricing ad to attract new clients, there's a bit of trial and error that will probably be necessary. If you had to name the most valuable thing in your life at this moment, you may come up with all sorts of different answers. You may name loved ones, friendships or material things such as cars, houses or bank accounts. Perhaps you might think of objects of art, private yachts, or summer get aways. Some may name pets, pianos or possessions. Altering the space/time encoding related to a person's performance of a specific task may accelerate the unlearning of poor behavior and thought patterns and facilitate the rapid re-programming of new ones. My approach to space and time elements of encoding serves as a significantly different approach regarding how coaching and psychotherapeutic interventions can be employed. Are your true values being expressed through your present lifestyle? Thoughts, like magnets, attract the life path chosen daily by decisions we make on how to spend our time. When we trust ourselves to follow our dreams and dare to do what really matters to us most, we begin a brickroad type of journey. Step by step we start to build a significant way to the future. Let me start this column by saying that, as a business coach for massage therapists and a wide range of alternative healers, I'm going to provide an enlightened approach to your business card. But, contrary to your possible expectation, I'm not going to tell you what to put on it. I'll let designers who are far more capable of layout and graphics than I am do that for you. Instead, I'm going to tell you a way of using this little piece of ID, you're not yet familiar with. 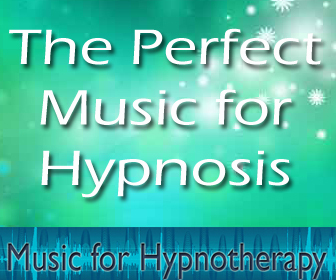 Massage, hypnotherapy, and many other forms of alternative healing enhances creativity. There are no ifs, and, or buts about it. The relaxation that occurs stimulates inspiration, because a relaxed mind in a relaxed body are more receptive to the impulses of creativity than their tense counterparts. Is there any surprise that so many of the world's great scientific insights and artistic conceptions occur in a restful state rather than a restless one? The famed "a ha" experience of eureka that can make you laugh in delightful "ha-ha," happens when you're most relaxed, not when you're most worried or irritable. While receiving an Indonesian massage on a luxury yacht off the coast of Thailand (I know...that sounds good to me while I read it, too, even a year after the fact), I gained inspiration for this column, as well as for one on tuning in to what your healing clients experience from your treatments. During other massages and coaching sessions that I've received in the past, I've gained ideas for other columns, for new workshops that I would eventually give, and for new books and mini-books that I would write. Recently, while doing a Sunday New York Times crossword puzzle, I was stumped by a clue for a four-letter word. The clue was "Grant." I ran through the Rolodex in my mind and came up with answers like award, prize, and so forth. None of them were four letters. Finally, I got the first letter; it was a "C." But that didn't help me either. Eventually, the light bulb went off in my mind--Eureka. (No, not that endearing term of excitement--it's got six letters.) The answer wasn't a grant of money, it was a Grant of Cary. The irony in this story is that there were only two men who ever made my mother's heart race, and they were Cary Grant, and my father, Sam Bayer. And that's why she named me Cary Bayer. Part I of this two-part series has delineated five of the "Top Ten Tools and Strategies for Strengthening Buy-in, Trust and Team Coordination among a Generationally-Culturally Diverse (Military) Workforce," including building communication bridges and fostering a team/systems concept that has application for both military and non-military work settings. I'm preparing for a major offsite event with the Command Teams of the 1st Cavalry/Ft. Hood, TX. I've been asked to explore new (for me) conceptual territory -- Generational Diversity. More specifically, the Army wants me to provide some fresh ideas and exercises for "Communicating with the Younger Soldier." To oversimplify matters: how can the predominant generations in authority -- the Traditionals and Boomers -- connect with GenXers and Millennials. And in today's 24/7 always on world, rapidly cycling between constant upgrading and "doing more with less," creating communication and team coordination bridges among the military (and civilian) generations -- and among all its culturally diverse components -- is mission and morale critical. Norman Vincent Peale, one of the 20th century's great positive thinking gurus, once said: "Change your thoughts and you change your world." To that I would add the following idea; namely, that it's just as wise to change your speech. If you want to lose weight, it's obvious that you have to watch what you eat and change how you exercise. A veritable fortune has been made by Weight Watchers with such a formula. If you want to prosper as an alternative healer, then it's also important that you watch what you say. I call this article Word Watchers. What are you focussing on achieving in your business in the next 90 days? Do you have any idea? If you don't then you better come up with a goal or outcome otherwise you may find that another 3 months has passed you by and you're no further ahead than where you are right now. When people produce their best results, they talk about being in a state known as 'the zone'. Put simply, this is a highly productive state of mind and body where you are simultaneously intense and calm, able to focus on the specific whilst monitoring the big picture, all whilst appearing natural and effortless. My cat is a 10-pound Buddha named Ananda (Sanskrit for bliss) because she's the fastest purrer in the West. This calico has taught me volumes about how to succeed in the healing arts business. They can teach you, too. Many business owners try something once and if it doesn't work, they don't usually bother again. A great example of this is sending out a newsletter to your database. 1. Stakeholder Surveys - You must determine a base line for your employees. You should conduct a series of surveys designed to find out what your employees know, what they don't know and what they think they know. First, do they understand the true mission of your organization? If you think so then think again, because making money is not the mission.